Sinequan (Doxepin) is used to elevate the mood of patients with depression. Sinequan is used for treating depression or anxiety in certain patients. It may also be used for other conditions as determined by your doctor. Use Sinequan as directed by your doctor. Check the label on the medicine for exact dosing instructions. Sinequan comes with an extra patient information sheet called a Medication Guide. Read it carefully. Read it again each time you get Sinequan refilled. 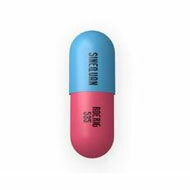 Sinequan is a tricyclic antidepressant. It is not known exactly how it works. It may increase the activity of certain chemicals in the brain, which help elevate mood. Sinequan should be stored below 86 degrees F (30 degrees C) in a tight, light resistant container.